Fun illustrations highlight an engaging storyline about all the favorite Music Friends and serve to bring to life Tchaikovsky’s famous Nutcracker Suite. Once your child has reached Level 3 of the Lesson Books, they will enjoy practicing these delightful pieces with which they will entertain your family during the holiday season. Each piece allows for Carolyne to play duet with your child as they are learning. 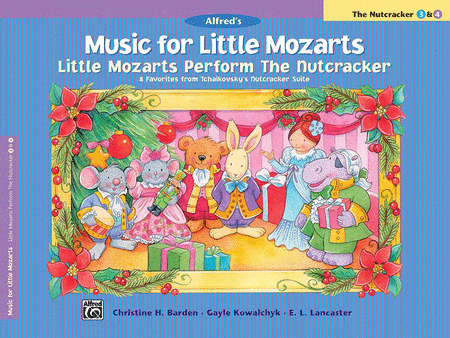 You are welcome to purchase The Nutcracker Book, which includes eight thematic arrangements of pieces from the Nutcracker Suite, and Carolyne will then incorporate it into your child's lesson.